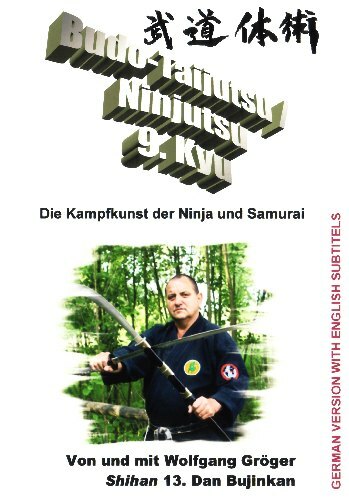 The training and examination program for 10th Kyu grade in the art of Ninjutsu / Budo-Taijutsu is available as a DVD video with a runtime of 48 minutes. Important basics and also some variations for the 10th Kyu grade, which are necessary to learn this complex combative art, are demonstrated and explained on this video, in order to study these combative arts as traditionally and currently as possible, following the doctrine of grand master Dr. Masaaki Hatsumi (Japan). The language of this video is German. There are english subtitles which can be switched on. Some techniques are also shown in slow motion. Examination is possible in case of respective qualification (more details on request). This video has been created by and with graduate engineer Wolfgang Gröger Shihan 15th Dan (Menkyo Kaiden Kugyo Happo Hiken) Bujinkan Budo-Taijutsu (Dr. Hatsumi / Japan) and 12th Dan Goshin-Taijutsu (IAWO). 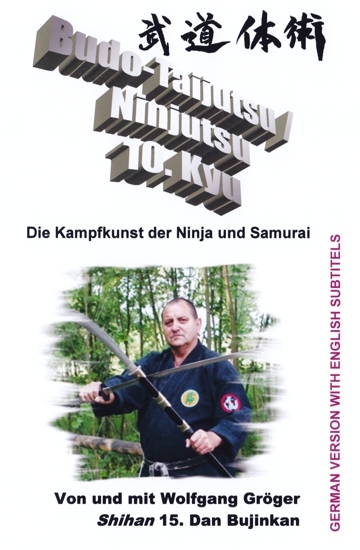 Wolfgang Gröger is one of the first in Germany to study and teach Ninjutsu / Budo-Taijutsu. 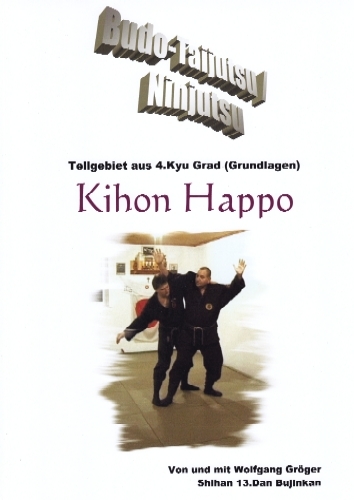 Thus he is one of the pioneers in the art of Ninjutsu / Budo-Taijutsu in Germany. Content: General and Ettiquette, Kamae Kata Kihon I u. II (combat positions), Sabaki (movement training), Ukemi Gata Taihenjutsu I (rolling, falling), Daken Kihon I (fist punching, beating and parrying techniques, and kicking techniques - Fudo Ken, Boshi Ken / Shito Ken, Shikan Ken, Omote Shuto, Ura Shuto, Jodan Uchi u. Soto Uke, Chudan Uchi u. Soto Uke, Gedan Uchi u. Soto Uke, Zenpo Geri, Soku Yaku Geri, Soku Gyaku Geri), Tehodoki I (Befreiung Handgelenke) und Taihodoki I (defence against stranglehold).